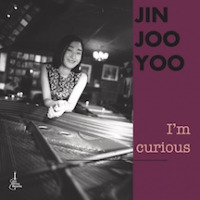 Jazz Pianist/Composer/Arranger Jinjoo Yoo is a charismatic performer with a unique voice. Hailing from Seoul, South Korea, Jinjoo currently resides in New York and collaborates with different projects and leads her own group as well. As a leader and a solo performer, she has toured internationally, including performances in the United States, Italy, Greece, Azerbaijan, and South Korea. In 2017, she was selected as one of the finalists for the Baku Jazz Competition. Enjoying singing and playing instruments from her youth, Jazz captured her attention soon after starting University in South Korea. It didn't take long for her to fall in love with Mary Lou Williams, Wynton Kelly, Teddy Wilson, Bud Powell, Sonny Clark, Art Tatum, Jimmy Rowles, Billie Holiday, Carmen McRae, and so on. Since then, she has immersed herself in the music by listening to jazz legends' albums, studying music harmony and theory by herself. Although she was studying Sociology and Economics in her undergraduate years, she found herself more interested in Jazz rather than her major. After her graduation, she decided to focus on jazz more deeply in New York. In 2015, Jinjoo was accepted at the Aaron Copland School of Music at Queens College and earned Master's degree in Jazz Performance from Queens College in 2017. Jinjoo thinks that her music should be able to describe this world, either beautiful or ugly, and the way she feels while observing it. Her original tunes bring stories and emotions of curiosity, joyfulness, tragedy, gratitude, melancholy, and pain. Jinjoo recently released her Debut Album (Gut String Records, 2018) as a leader, where she presented her point of view. This album features two of incredible jazz artists: Neal Miner, one of the most sought-after bassists in New York Jazz Scene, and the legendary drummer Jimmy Wormworth that has a long history and playing credentials with a host of historic jazz figures. With this Trio album, Jinjoo recently finished her CD release tour in Greece and Italy successfully. Jinjoo stylistically encompasses the range from Jazz Classic and the American songbook to original compositions that are played with swinging intuition. In New York, Jinjoo has performed at venues such as National Sawdust, Rockwood Music Hall, Shapeshifter Lab, LeFrak Concert Hall, Swing 46, Nublu, Russian Samovar, Caffe Vivaldi, Club Bonafide, Tomi Jazz, Italytime, Shrine, and Silvana to name a few. Jinjoo can be often seen performing as a leader or sideman around the New York City. Her group regularly performs with various settings including Duo, Trio, Quartet, and Quintet. All About Jazz musician pages are maintained by musicians, publicists and trusted members like you. Interested? Tell us why you would like to improve the Jinjoo Yoo musician page.